"..the blows against the Church...are after one purpose --to weaken the [Armenian] nation's spiritual unity. The nation by its unity is empowered.."
I would ask myself: Can we not have Christian unity in Christian diversity when it comes to churches? Apparently the Armenians are not ready yet for that concept, so let another 100 years roll by for Armenians to caught on to my concept. Or can one church be so God-inspired and lover of truth that all Armenians will find it so attractive that they will never consider criticism or separation? I watched something that looked like a talk show, in which a person identifying himself as ara manukgian showed a video of the Verhapar's election. In this video is pointed out a person as Arch Bishop Hovnan Derderian handing Verhapar a note. THIS WAS NOT Arch Bishop Hovnan Derderian! in the video. He invited/demanded the Arch Bishop call him to explain. It is very sad to see an Armenian acting worse toward our Holy Church than in done in American politics. Yes onjig, the Armenian Mother See is under attack specially from those pagan Armenians who still worship Vahagn the Armenian pagan god, a creature who was created by the creator Jesus Christ. Worshiping the creature in place of the creator is a grave sin and that would explain the miseries that the Armenian nation is still going thru --giving glory to pagan gods in place of Jesus Christ. So I would think twice before I befriend an Armenian with the name of Vahagn. I mean in ancient Armenia and from surviving ancient statues of Vishapakagh in the Republic of Armenia we see those Armenian ancient gods fought against those dragon-worshipers in Armenia and prevailed but then they, those pagan gods, themselves were worshiped by the Armenian people. After the coming of Jesus Christ and conversion to Christianity this pagan worship should have stopped, but apparently it did not in some Armenian sectors and by some Jesus-hater Armenians from Los Angeles to Yerevan, from Canada to S. America. Even some infiltrated and are vocal in Armenian forums and Armenian social networks. Vahagn Vishapakagh (Vahagn the Dragon Reaper) or Vahakn (Armenian: Վահագն) was a god of fire and war worshiped anciently and historically in Armenia. Some time in his existence, he formed a "triad" with Aramazd and Anahit. Vahagn was identified with the Greek Heracles. The priests of Vahévahian temple, who claimed Vahagn as their own ancestor, placed a statue of the Greek hero in their sanctuary. In the Armenian translation of the Bible, "Heracles, worshipped at Tyr" is renamed "Vahagn". All the gods, according to the Euhemerist belief, had been living men; Vahagn likewise, was introduced within the ranks of the Armenian kings, as the son of Yervand (6th century B.C. ), together with his brothers — Bab and Tiran. In travail were heaven and earth, In travail, too, the purple sea! The travail held in the sea the small red reed. Through the hollow of the stalk came forth smoke, Through the hollow of the stalk came forth flame, And out of the flame a youth ran! Fiery hair had he, Ay, too, he had flaming beard, And his eyes, they were as suns! Other parts of the song, now lost, said that Vahagn fought and conquered dragons, hence his title Vishabakagh, "dragon reaper", where dragons in Armenian lore are identified as "Vishaps". He was invoked as a god of courage, later identified with Herakles. He was also a sun-god, rival of Baal-shamin and Mihr. The Vahagnian song was sung to the accompaniment of the lyre by the bards of Goghten (modern Akulis), long after the conversion of Armenia to Christianity. The stalk or reed, key to the situation, is an important word in Indo-European mythology, in connection with fire in its three forms. Vahagn was linked to Verethragna, the hypostasis of victory in the texts of the Avesta; the name turned into Vahagn (the Avestan "th" becoming "h" in Arsacid Middle Persian), later on to take the form of Vahagn. See Վահագն for more on the origin of the name. The Armenian princely house of Vahevunis believed to derive from Vahagn. The Vahevunis were ranked high in the Royal Registrar of Armenia, recorded by King Valarshak. In the pre-Christian Armenia, the Vahevunis hereditarily possessed the temple town of Ashtishat on the left bank of the Aratzani river and most likelly also held the post of the Sparapet, i.e.t he Commander-in-Chief of the Royal Armenian Army. Edited by man, 10 February 2014 - 08:41 AM. 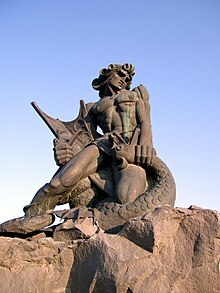 By destroying the dragon and dragon worship in Ancient Armenia the Armenian war hero Vahagn could be considered the first "Christian" in Armenia since dragon is a symbol of satan and dragon worshipers were satanists. We see in the book of Revelation, Chapter 12:7 "And there was war in heaven, Michael and his angels waging war with the dragon. The dragon and his angels waged war, and they were not strong enough.." and those dragons were cast to earth. 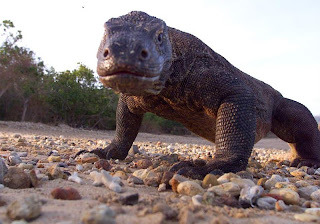 In the Revelation of St. John we see the mention of dragon in other verses, like in 20:2 "He seized the dragon, that ancient serpent, who is the devil, or Satan, and bound him for a thousand years." What is strange to me is that some Armenians who still worship Vahagn are working or fighting against the Armenian church and against Jesus putting even the hero Vahagn in shame of them because of their contact (yes, hero Vahagn, put some hot-pepper into their mouth). Vahagn now is saying: Unity is the solution, and this solution is in Jesus Christ. Christian unity is possible despite diversity in Armenian Christianity. What Vatican is doing now is wrong, it's working for unity among diverse religions, the none Christians also. To do that, to bring Christians and non-Christians in some kind of unity, it sound making Babylon anew and is ungodly. According to my opinion, those "vishap stones" that many have survived in Armenia are indication that there were vishap-worshipers in ancient Armenia and many such stones served as altars or locations were such vishap-worship was done, some in the forests. "Vishap stones, vishap stellas or vishapakar (Armenian: Վիշապաքար, 'serpent-stones"', 'dragon stones'), also known as simply vishaps, are characteristic menhirs found in large quantities in Armenia. They are commonly carved into cigar-like shapes with fish heads or serpents. Supposedly they are images of vishaps, mystical creatures." Not sure what you are saying. I know there are atheist Hye, and those who are very into politics, but I don't believe there is an Armenian alive today, who worship a stone, a fish or a serpent. DID I SAY THIS BEFORE? If not. I will repeat it. Edited by Arpa, 14 February 2014 - 04:49 PM. how do you know that VishapaQars was a place of worship. it could just be a restorant of serving Vishap BBQ, hetaqrqira Vishapi xorrovats inchpes klin /?? inch ham kunena ? inchpes en patrastel ?? be nice people !!! respect !!! This happens when a member posts, not because he (wait it's a she) has something to say but the need to say. Even though she was given enough subtle advise, not to post nonsensical juvenile posts that will render herself to scrutiny, the need for attention was more powerful than reason. We should all remember that being a member at Hyeforum is not a right but a privilege and we should all enjoy and have fun without being a burden for other members. 2-I don't believe there is an Armenian alive today, who worship a stone, a fish or a serpent. Oh yes, I believe Armenians have long stopped such worship since some 4000 years ago, thanks to Armenian heroic legendary leaders, among whom was Vahagn of course. And according to legends, those kind of serpent-beings lived in separate communities, mostly hidden from humans and their favorite food was human flesh, specially human tenderloins (fatty buttocks). Those beings were tall and strong and humans were afraid of them and sometime worshiped them, until humans like Vahagn showed up and eliminated them. Till then we can speculate that humans, as a bargain with them for their own safety from them, were presenting them with human sacrifices as food for them, and sometimes leaving those human carcases by the water-springs to be picked up by those serpents into their residence and some say into their space-ship.